New York : E.P. Dutton & Company, Inc, 1952. First edition of this classic coming of age story. Octavo, original cloth. Boldly signed by Gore Vidal on the title page. Fine in a near fine dust jacket with a touch of wear. Jacket design by George Salter. Rare in this condition and signed. Set in post-war Europe, fresh-out-of-law-school Philip Warren takes a year to discover his future. In this classic coming-of-age story, Philip journeys through various affairs, misadventures, and cities full of unforgettable characters that prompt his self-discovery and lessons on taking pleasure in both love and life. 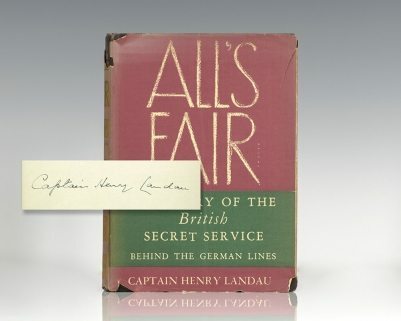 First edition of the author’s first book. Octavo, original black cloth. Signed by the author on the half title page. Very good plus in a very good dust jacket. Boston: Little, Brown & Co., 1956. First edition of the author’s play that was later made into the 1960 motion picture starring Jerry Lewis as Kreton. Octavo. Fine in a lightly used very good plus dust jacket. Signed by the author. Laid in is a ticket stub at a play that Vidal appeared at. New York: E.P. Dutton and Company, Inc, 1949. First edition of Vidal’s fourth novel. Octavo, original cloth. Signed by Gore Vidal on the dedication page. Near fine in a very good dust jacket with some chips and wear. Boston: Little, Brown and Company, 1967. First editionnal of the final volume in Vidal’s Narratives of Empire, his acclaimed six-volume series of historical novels about the American past. Octavo, original cloth. 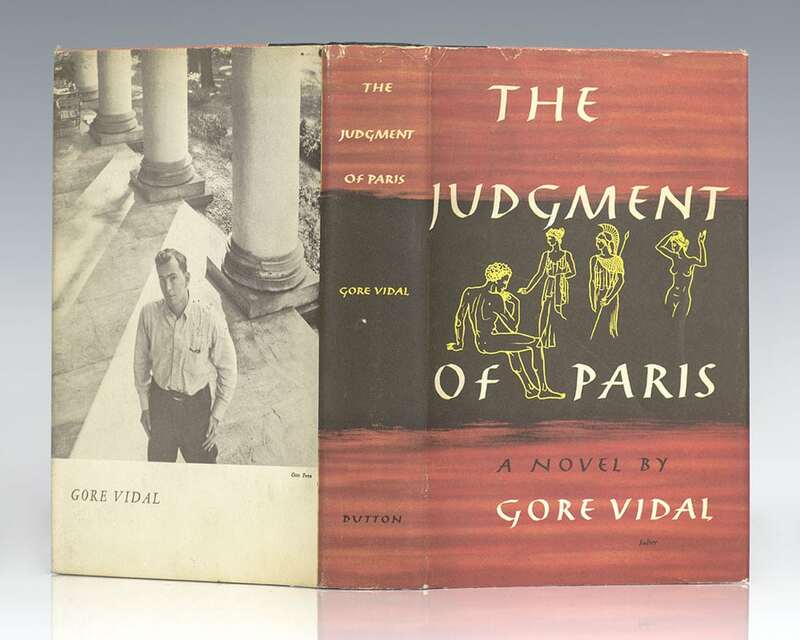 Signed by Gore Vidal. Small name to the front free endpaper, fine in a near fine dust jacket with a touch of wear. Jacket design by Sheridan Germann. New York: E.P. Dutton, 1948. 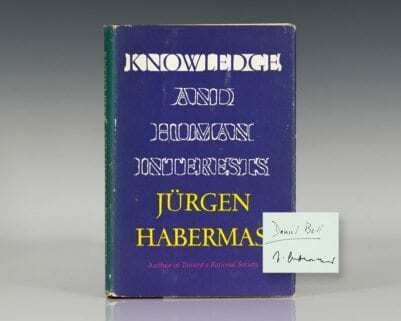 First edition of this landmark novel. Octavo, original black cloth. Signed by the author on the title page. Fine in a bright near fine dust jacket with two small chips to the crown but does not show the fading endemic to the spine panel. A very sharp example. New York: E.P. Dutton & Co, 1950. First edition of this “[w]ell-written work” (Kirkus). Octavo, original cloth. 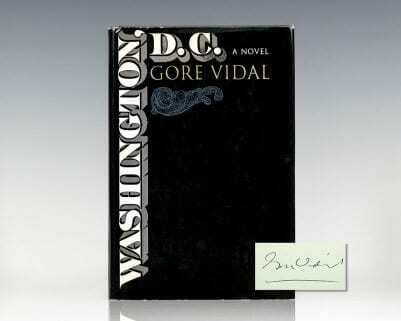 Signed by Gore Vidal. Near fine in a very good dust jacket. Jacket design by Lustig. Boston: Little, Brown, & Company, 1968. First edition of this satirical novel by written in the form of a diary. Octavo, black cloth. 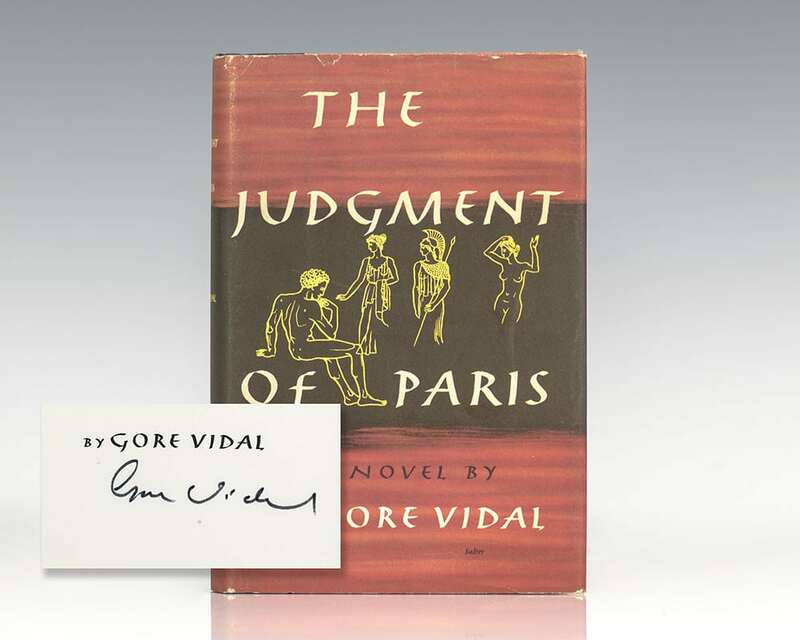 Signed by Gore Vidal. Name to the half-title page, near fine in a near fine dust jacket with light shelfwear. Photo courtesy of the Hotel Sahara. A very nice example. New York: E.P. 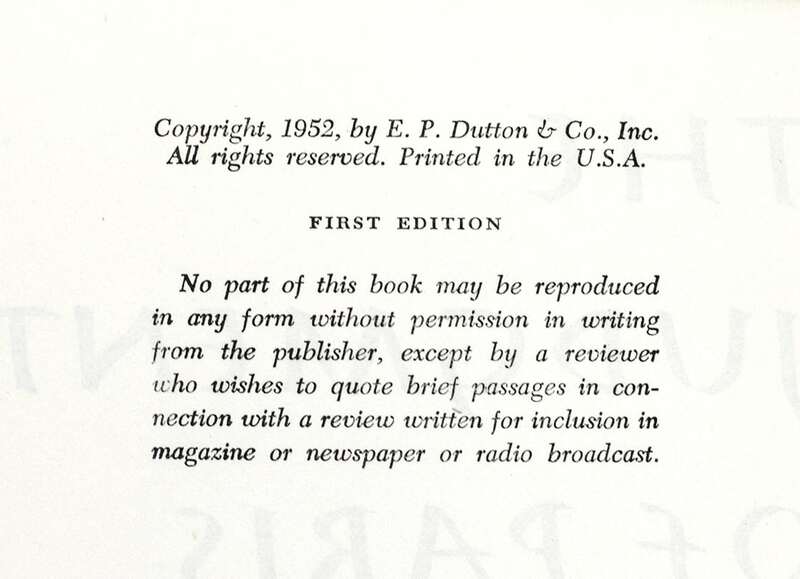 Dutton & Co, 1948. First edition of this landmark novel. Octavo, original black cloth. Signed by Gore Vidal on the title page. Fine in a bright dust jacket with a few small chips but does not show the fading to the spine panel.